Succeed in a multi-device world with M720 Triathlon Mouse. You'll power through tasks by switching seamlessly between 3 computers, and fly through documents and web pages with hyper-fast scrolling. 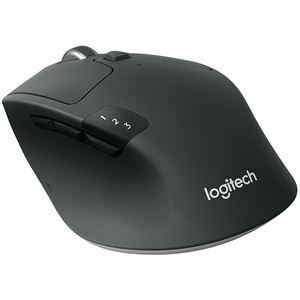 Boosted efficiency means this Bluetooth® and Unifying mouse lasts for 24 months on a single AA battery. All that in a full-size shape fitting comfortably under your hand.